Marijuana oil for medical treatment of children in Mississippi who suffer from epilepsy seizures is at least a year away. Legislation was passed this year that allows limited use of cannabis (marijuana) oil as medical treatment. 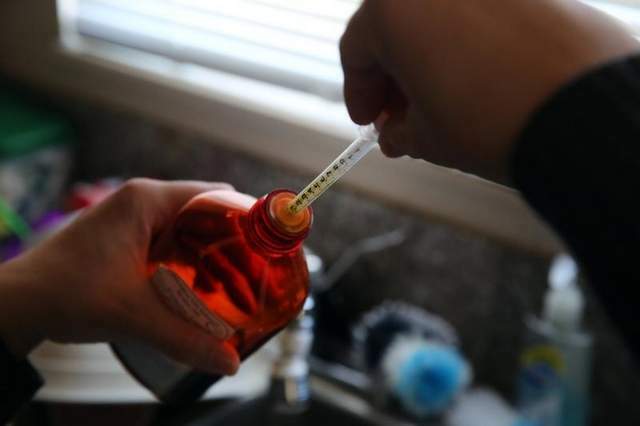 The law, which went into effect July 1, said the oil would only be dispensed at the University of Mississippi Medical Center and UMC would be responsible for gaining federal approval for use of the drug. UMC said in a statement that the National Center for Natural Products Research at the University of Mississippi School of Pharmacy has recently gained approval from two federal agencies to grow a certain quota of the particular strain, but many requirements remain ahead and meeting them could take a year or more. "Anecdotal evidence suggests CBD oil may be effective for intractable epilepsy in children. However, rigorous and formal research studies in humans need to be conducted to establish the oil's effectiveness and safety," UMC said in published statement. UMMC says any such clinical trial established at UMMC would initially involve children with refractory or more serious types of epilepsy. There are no current plans to study the effectiveness of CBD oil or smoked marijuana on seizure activity in adults. "We understand the urgency and immediate need for improved treatments and are moving forward under that motivation. At the same time, our efforts are balanced by great measures of care, safety and compliance with current laws and the safety of the patients," UMMC says. State Sen. Josh Harkins, R-Flowood, said the ingredient in the oil is from the ingredient in marijuana that doesn't cause a person to get high. During the legislative debate about the bill, it was supported overwhelmingly by both Democrats and Republicans. Rep. Mark Formby, R-Picayune, told his colleagues his young son had seizures and he supported the bill. Formby, a conservative Republican, supported the legislation although he had previously pushed for tougher laws and penalties for illegal drug use.